At The Children’s Dental Group, we care for you like family. Each child is treated gently, with respect and compassion, and encouraged to be an active participant in caring for his or her smile. 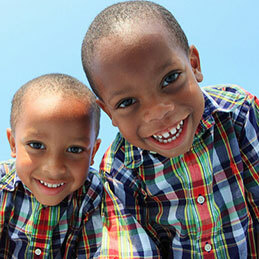 Dr. Ida Rose-Mize, Dr. Brandice Allen, and Dr. Cassandra Stewart are our experienced pediatric dentists. Dr. Ericka Edmonds is our general dentist, and Dr. Dameon Fisher is our orthodontic partner. All of our doctors are warm, friendly, and personable. Our team loves building trusting relationships with children and parents. We strive to create a partnership that helps children grow up with healthy, beautiful smiles and a passion for caring for them. We believe in continuity of care: Although our doctors collaborate in treatment planning, your son or daughter will always see the same dentist. We also believe every child should have only positive dental experiences. We want everyone to look forward to visits as time spent with friends, and to be excited about caring for their smile! The Children’s Dental Group, in Lithia Springs, GA, serves Austell, Douglasville, and Camp Creek. Call to learn more about the painless pediatric dental care we offer and schedule a visit for your child. Our doctors and team can’t wait to welcome you and your family to our dental family. It will be our honor to help your child grow up with a beautiful, healthy smile she or he will share with confidence. Call us today!